THE BIGGEST OBSTACLE to the long-term recovery of people who have passed through drug addiction is a lack of housing, according to the chairman of a drug treatment centre. Alan Connolly said that the government needed to give more urgency to the housing crisis in order to better assist people in their recovery. “The biggest obstacle to long-term recovery is the lack of housing,” said Connolly. So the question of housing has to be solved so we’re calling… to government to give more urgency to the housing crisis. Alan Connolly was speaking to TheJournal.ie after the launch of the 2015 annual report for the Coolmine Therapeutic Community. The Coolmine Therapeutic Community is a drug and alcohol dependency treatment service located in different centres around Dublin. Founded in 1973, it provides holistic, community-based treatment for clients addicted to substances. The treatment centre launched its annual report for 2015 yesterday – showing an increase in the number of people using its service. In total, over 1,350 were supported by Coolmine last year – with a 42% increase in residential admissions. It receives many of its clients from referrals from the prison service – with half of the new male admissions to the Coolmine Lodge treatment centre last year coming from the prison/ probation services. As well as the male services, Coolmine also has a service for women at Ashleigh House – where children are allowed visit or in many cases stay permanently with their mothers in special dwelling at the centre – the only service of its kind on offer in Ireland. Of the 81 women who resided at Ashleigh House last year, nearly 20% (22) mothers were joined permanently by their children. Alan Connolly said that the Coolmine philosophy is not just about abstinence from drugs – but about teaching clients how to lead a full life. “It’s not just about abstinence,” said Connolly. It is about trying to lead a fulfilled life in a job with a family and positive relationships in a home. The goal is that abstinence is not enough. A TCD study published in January found that 72% of Coolmine’s clients are still drug-free two years after receiving treatment. That figure rose to 85% when the clients had completed and graduated from the programme. Connolly said that this study was one of the high points of the Coolmine annual report, but that the lack of housing for people emerging from the services is a serious issue. “Independent research shows that 85% of those who complete the Coolmine treatment remain drug-free two years later,” said Connolly. 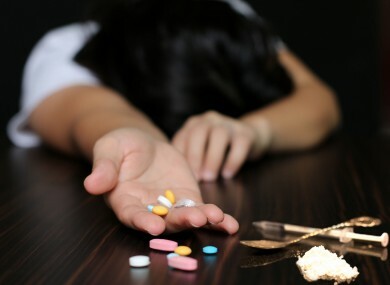 However, many of those who relapse tend to be those who cannot find appropriate housing and end up either returning to a drug-addiction environment or to a difficult family situation or living rough. Coolmine’s budget for 2015 was €3.3 million – with only 5% of that going on administration. Coolmine also offers alcohol and cannabis addiction treatment services, and Connolly said that the community will be looking to expand in the future. Email “People coming out of drug treatment programmes are relapsing because of the lack of housing”. Feedback on “People coming out of drug treatment programmes are relapsing because of the lack of housing”.